This month I interviewed two sixth grade students at TEAM Academy – Jade and Chris. Jade has been a student at TEAM since kindergarten and Chris just recently moved to Waseca and started sixth grade this fall. What do you like best about TEAM Academy? Jade – How they respond to bullying. Chris – I like that TEAM is a lot smaller (than his previous school). We have more teachers that help and understand you. What will you miss most about TEAM Academy? What are you involved in at TEAM? What advice do you have to younger students? Jade – Don’t bully anybody and try new things. Chris – Listen to your teachers and have fun. Every week sixth grade does an activity with their second grade buddies. What do you like best about working with your buddies? Jade – They listen to me and they are fun. Chris - They are funny and they are nice. TEAM Academy participated in Walk to School Day on October 4. Walk to School Day is a national event held every year in October that first started in 1997. Over 5,000 schools nationwide and 200 schools in Minnesota participated this year. Many TEAM Academy students walked or rode bike from their house. Since not all students live close enough to walk we organized a walking school bus from Northeast Park. 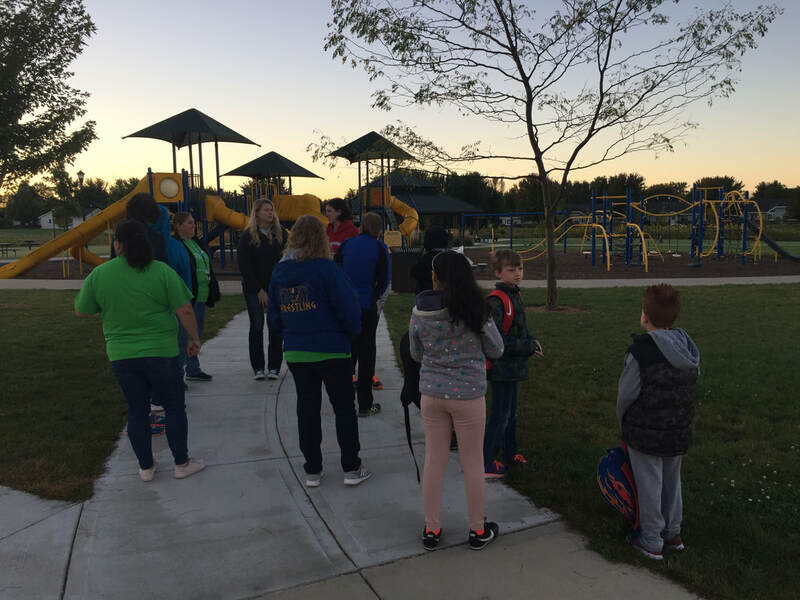 Parents could drop off students from 7:15-7:50 AM and TEAM Academy staff members were there to walk them to school. Our bus students were even dropped off at the park. The students and staff loved getting exercise on their way to school and many have asked if we can do it again! One of the main goals of Walk to School Day is finding safe routes to school. The new sidewalk on 4th St. NE is a perfect example of this! For the first time ever, our students had a sidewalk to walk on and they didn’t have to walk on the side of the road from the park. Since Walk to School Day was such a success with our students, we will look into planning more this school year! TEAM Academy is ready up for another school year! This will be our second year in a row that ALL teachers are returning to TEAM Academy! This consistency with staff is so beneficial for our students, parents, and school culture. We are already a step ahead because we can pick up right where we left off in the spring! Enrollment is way up! We have 130 students (the most we have had in three years)! 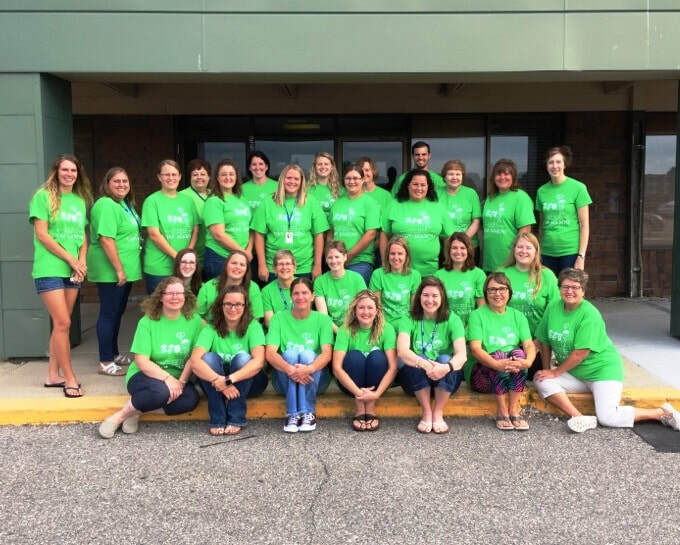 Many new families enrolled over the summer that have recently moved to the Waseca area. We are excited to see so many new faces at school! We continue to offer our families free extended day programs from 7:00 AM – 5:00 PM, free breakfast, snack, and lunch for ALL students, Spanish, Art, Music, and Physical Education classes, individualized learning, and a small school environment. Lots of great things are always going on at TEAM Academy and we always love to have visitors. We are a FREE (no cost) K-6 grade charter school located in Waseca. If you have any questions please feel free to contact myself at 507-833-8371 or jcourtney@team.k12.mn.us. I'm a Charter School Director, wife, mom, and scrapbooker.